It was a fantastic road trip for the wolf pack with lots of family fun and podiums at the Allbarnone Jurien Bay triathlon. The weather was warm and windy with bonus kms on the bike course but this was made up with the run course being a few hundred metres short. It seems the stingers were out to play (but thankfully no sharks!) with a few people copping a sting or seven. Coach Peta thought it was a cracker day. 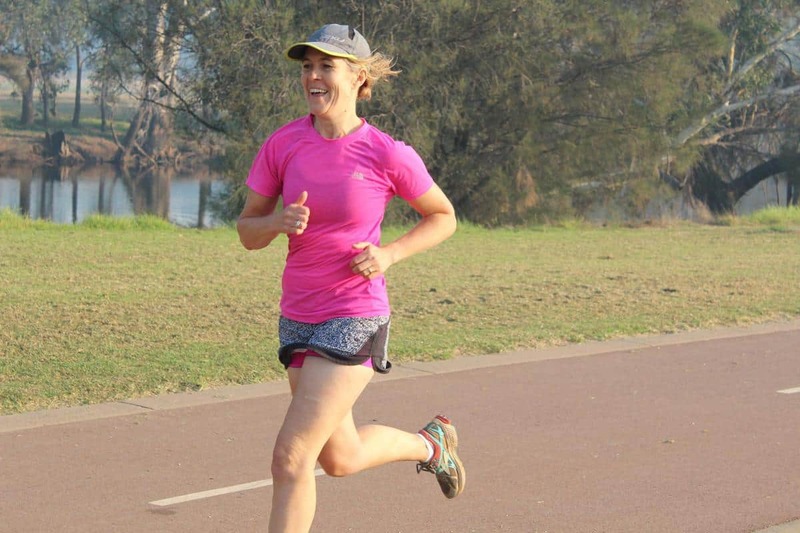 “One of the highlights of the day for the pack was supporting each other, all the big smiles and high fives throughout the race in spite of it being a pretty tough challenge,” she said. Big congratulations to Brett on his first medal, to Ian and Alex on their first full Olympic and young Caitlin who had her OWS race. Posted on February 26, 2018 under in Event, Race, Triathlon | By nikkyb. Could breathing better make you faster? The part of breathing we generally think about is all to do with enough oxygen getting to the right places fast enough for us to do what we want to. Our bodies are pretty good at this in the absence of any serious health issues. But you probably don’t realise our breathing also has a major impact on our overall posture and movement and our nervous system, particularly that crucial balance we need between our ‘ready for action’ stress response versus rest, recover and repair. Breathing in sport is becoming hot news! We put emphasis on strength training especially when it comes to legs, but does anyone really target the breathing muscles? In the last couple of decades it was discovered that like any other muscles our breathing muscles fatigue, swimming being the biggest culprit here. When they fatigue, there then follows a literal blood steal reflex shifting blood from the leg/arms to the breathing muscles. This happens because the brain reckons it’s more important to keep breathing than run faster! If that’s not a good enough reason then consider all the challenges put on your breathing muscles during triathlon. Swimming – Our breathing muscles have to overcome hydrostatic pressure and need to achieve rapid inhales to maintain buoyancy and propulsion. Running – we are permanently unstable when we run and breathing muscles have to both pull air in, push it out and keep the pelvis stable. Cycling – horrible position for breathing! The breathing muscles need all the help they can get to overcome the restrictions imposed by crouching and again stabilising the pelvis to maximise efficient pedalling. Recovery is not talked about nearly enough in coaching yet the ability to bring ourselves back to baseline calm (think heart rate, breathing rate, blood pressure, relaxation, digestion, inflammation, immune response) is crucial to our ability to recover from our last race/training session and the success of our next one. Outside of training/racing is another crucial area where sub-optimal breathing can play havoc. Recovery, otherwise known as all the hours we spend at work and home, awake and asleep is where breathing plays a crucial role. You lot are by nature pretty busy and pretty driven! This is great for being out there on the run/swim etc but for adequate rest and recovery we need to bring our nervous system back to calm. They over-breathe at rest. This lowers the level of carbon dioxide in the body resulting in poor oxygen delivery, muscle spasms/tension, and airway and blood flow restrictions. They breathe into the upper chest. This results in fatigue of the accessory muscles (neck/shoulders i.e. muscles we need for effort) and a whipping up of the stress response (see above – not great for recovery). They are ab suckers. Your diaphragm is your prime muscle for breathing and core strength to name just two of it’s functions. It cannot work effectively against an abdominal corset. They frequently feel the need for sighs and often mouth breathe – this is hyperventilating, (see point 1). Do you nose breathe 100% outside of hard effort? Do you have exercise induced asthma/ chest tightness/wheeze/tightening in the throat? Do you sigh/yawn a lot? Does your chest or belly move as you inhale/exhale at rest? If you would like to read more about this, check out the series of articles by Robin McNelis for Runners World UK. He talks about running but of course this is relevant for all sport and life in general. It really is worth a read. 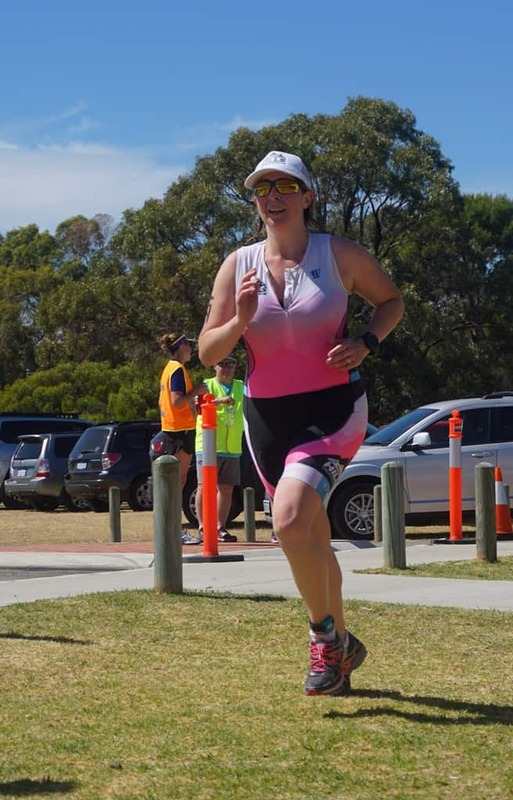 Athlete Profile – Karen A. How did you get into tri? 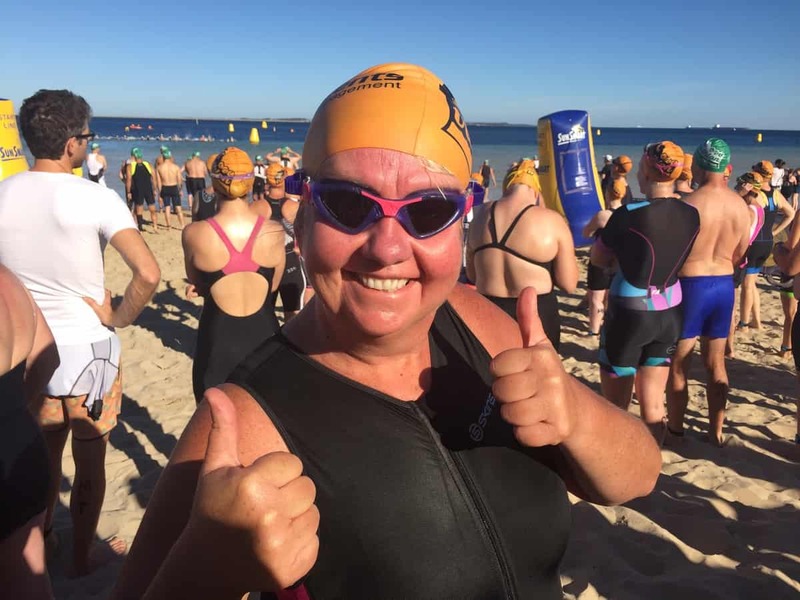 : I lost weight and decided I needed goals to help me go further so my psychologist suggested I enter the womens tri in March 2017 (it was October 2016) so I googled Tri Series and entered the whole of the 16/17 series, as you do! Then joined the PHTC, went to one session and decided I did not want to be “that” fit but sussed everyone out from afar at each event! Then I entered the whole series again this year and thought I should be brave and get a little fitter and meet you all so that I keep up the training better. How many bikes do you have? : Well I started last season on a free road side collection mountain bike (which I still have) but once I enrolled to do the novice course last year, everyone had lovely bikes so I bought a second hand road bike which lives inside my house much to the jealousy of the mountain bike that lives outside. Something we wouldn’t already know about you? : I was born in Zimbabwe and immigrated here when I was 16. In my real life I am a boring accountant. I have a 19 year old son who is a second year roof carpentry apprentice. How did you get into tri? : I started running about 3 years ago and all my running friends had done a few tris so I wanted to do one too. It was going to be a one time thing, get the finisher medal and go back to running. Ooops. I then joined the club to learn some swim technique and now I’m on the committee. I am still not sure how this all happened. How many bikes do you have? : 3 – a second-hand Trek hybrid I bought to do my first few tris (because I wasn’t going to be serious about this). My Liv Avail roadie and my latest love is my Liv Pique mountain bike (the descent continues). What do you want to achieve this season? : I was concentrating on my running in late 2018 so I was not doing much swimming or riding. This season I am aiming to be consistent in all of my tri training and improve my swim and bike strength. Maybe do an olympic distance. It was a flat, fast and furious course at the 2018 Bunbury Sufferfest and the perfect course to showcase your speed. The swim was flat and calm, the ride course had some head wind offset by a long road of tailwind and a scenic run course with some dragon boat obstacles. And after taking out some medals there is no doubt the wolves will be back for this next year. Posted on February 12, 2018 under in Event, Triathlon | By nikkyb.